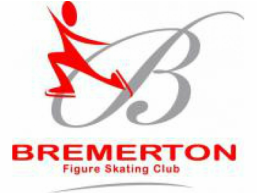 We are pleased to announce the club will be hosting a Spring Skating Exhibition at Bremerton Ice Center! Click here for the registration form, which is due by April 6th. As always, check with your primary coach, prior to registering for an event. Tickets will be $2.00 and available for purchase at the door. Your club is able to offer you many benefits including discounted registration fees, test sessions, club ice, holiday parties, club equipment and recognition awards thanks to your participation in fundraisers. Our first fundraiser this season was the silent auction held in conjunction with the Holiday Ice Show. The second and final fundraising opportunity of this season will be to sell car wash tickets to a local car wash chain and will be available beginning April 15th and ending May 15th. Be sure to let the board know if you will be participating in this fundraiser by responding to the email sent by March 18th. As a reminder participation in a fundraiser is part of your membership commitment and is mandatory for those skaters planning to apply for Merit Award Reimbursements. New membership entries for the 2018-2019 club season will close May 1st. New and renewing membership registration for the 2019-2020 club season, will open June 1, 2019. Most new blades come with a factory sharpening. Those blades will eventually need to be sharpened again, and throughout the life of the blade. How often you sharpen your skates depends on several factors, such as how often you skate, your weight, the skills you are performing, and your preferences as a skater. A general rule of thumb is to sharpen your skates approximately every 30-50 hours of skating. Bremerton Ice Center does offer sharpening services on a convenient drop off/pick up policy, for a minimal fee. If you have a private coach, be sure to check with them for a preferred hollow or to direct you to a skate sharpening professional to answer your questions about your blades. Bremerton FSC was established in 2006. To foster, support and develop amateur athletes within US Figure Skating for all levels of competition. Our annual meeting is approaching and one item of business will be to elect new board members. Please consider joining the BFSC Board! Being a board member is a wonderful way to learn about US Figure Skating, as well as, the inner workings of our club. We welcome fresh faces and new ideas on the board! The positions up for election are that of President, Treasurer, and 3 Director positions. Click here to view descriptions of these positions. If you are interested, please contact Aura Morrey at auramorrey@gmail.com and supply a brief bio. To serve, you must be at least 18 years of age and be/join as a full member of the figure skating club. Please be sure to join us for our Annual Membership Meeting and Awards Ceremony. What: This is a fun time to look back on our year as a club and as individuals, vote on club business and open board positions. Please don't miss out! *We would like to see everyone represented in our annual slideshow, so please forward pictures from your skating season to our webmaster, bfscwebmaster@bremertonfsc.org. BFSC was established in 2006 and is a member of the US Figure Skating (USFS).